What a whimsical and wonderful image by builder Grant Davis. 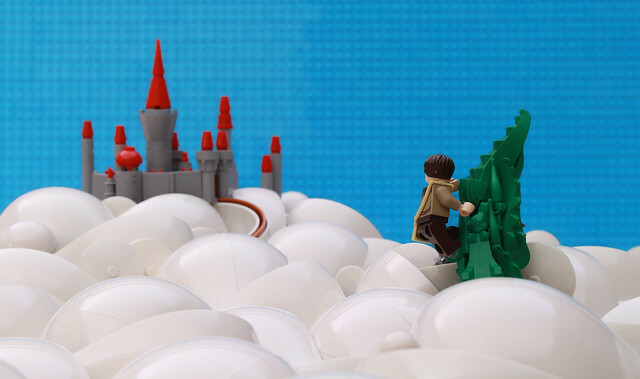 A fairytale classic, Jack ascending the beanstalk to find the giant's castle. If not for that familiar texture in the background you'd hardly know it was LEGO. I knew when the seed part of this round of Iron Builder was revealed we'd see some interesting stuff, but the creativity on this round has been off the scale.